China and South Africa urged fellow BRICS governments on Wednesday to fight protectionism and promote multilateral global trade in the face of tariff threats by U.S. President Donald Trump that threaten global trade. Trump’s warnings have given Brazil, Russia, India, China and South Africa fresh impetus to enhance trade cooperation, and officials at a three-day summit that kicked off in Johannesburg on Wednesday found a collective voice championing global trade. The meeting of presidents from the trade bloc is the first since Trump’s administration launched a push to rebalance trade multilateralism that Trump has deemed unfair, relationships which the United States once championed. “It is our sincere obligation to showcase our commitment towards the multilateral trading system, to safeguard the existence of the WTO (World Trade Organisation) and also show our clear and strong position against any unilateral action and protectionism,” Zhang Shaogang, Director General in the Ministry of Commerce of China, told the summit of BRICS member states. Davies said 7,000 South Africans work in jobs affected by the metals tariffs and that an effort to secure an exemption from the U.S. government had been unsuccessful. He said South Africa was also aware of a threat to impose tariffs on auto imports into the United States. “We have argued against that formally, and also I have met with U.S. Secretary of Commerce Wilbur Ross to make our point,” Davies said. He added South African poultry import concessions from which U.S. suppliers benefited were linked to the preferential terms South Africa currently receives for auto imports into the United States. Last week Trump said he was ready to impose tariffs on all US$500 billion of imported goods from rival economic superpower China. But even South Africa - a tiny exporter of steel, aluminium and automobiles to the United States - is facing barriers. The United States did not grant South Africa an exemption from tariffs of 25 percent on steel and 10 percent on aluminium, proclaimed by Trump in March. The BRICS summit was to be officially launched by South African President Cyril Ramaphosa at 1300 GMT. 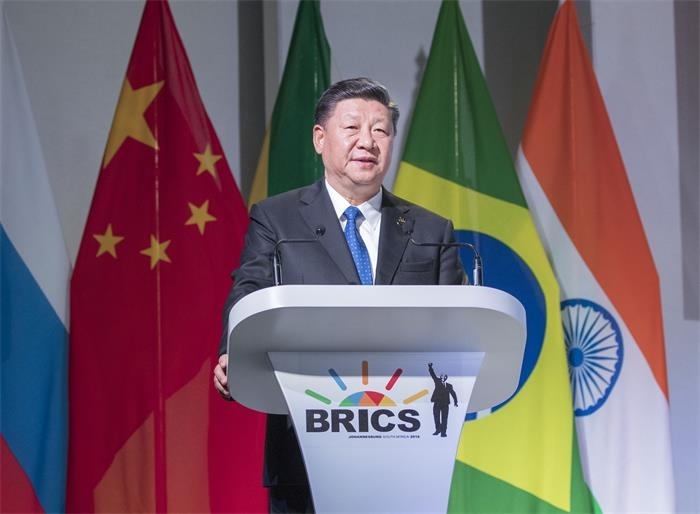 Other BRICS leaders, including Chinese President Xi Jinping, who oversees the world’s second-largest economy, also speaks at the event. Russian President Vladimir Putin is expected to arrive in South Africa on Thursday.